STATE CAPITOL, PHOENIX – House Minority Leader Chad Campbell, D-Phoenix (District 14), is renewing his call for Attorney General Tom Horne to investigate for-profit, private prison operators for possible legal and contract violations. Campbell warned that if the attorney general fails to fulfill his duty to enforce the state’s procurement code, he is abdicating his official responsibilities. In July, Campbell sent a letter to the Arizona Attorney General’s Office calling for an investigation and the immediate suspension of a solicitation for new private prison beds. Today Campbell repeated his call for the investigation, adding that there could be financial and legal repercussions if the attorney general fails to act. The state is poised to sign a contract with a for-profit prison operator by Sept. 1. Arizona law requires the attorney general to enforce the provisions of the state procurement code. As the state’s chief law enforcement officer, he has a duty to investigate and determine whether the alleged violations have occurred, Campbell said. Department of Corrections reports consistently show that the state is losing money on private prisons, and security audits indicate there are serious safety flaws in all of Arizona’s for-profit prisons. Currently, there is enough money set aside in the 2013 budget for 1,000 new private prison beds, but the state has the option to add another 1,000 beds, for a total of 2,000 beds in the next few years. The American Friends Service Committee issued a report indicating that if Arizona adds the 2,000 private prison beds, the state could lose more than $10 million a year. For more information on the AFSC findings go to http://afsc.org/resource/arizona-prison-report. STATE CAPITOL, PHOENIX – The League of Arizona Cities and Towns recognized nine Arizona House Democrats as legislative heroes for their work to support cities and towns during the most recent legislative session. “City leaders are grateful when legislators vote to uphold the principles of local decision-making by locally elected officials. These ‘legislative heroes’ have demonstrated their support for local control through their voting records, and have earned our appreciation,” Executive Director Ken Strobeck said. The League will present the legislators with these awards on Aug. 30 at their annual conference, a four-day meeting with more than 900 mayors, council members and officials from across the state. For more information about the League of Arizona Cities and Towns visit www. azleague.org. STATE CAPITOL, PHOENIX – Members of the House democratic staff often burn the midnight oil in the basement of the Arizona House of Representatives. They are dedicated advisors, analysts and attorneys who are committed to helping the House Democratic Caucus serve the people of Arizona. They also are active members of their own communities and their service has earned them recognition. • Cynthia Aragón, community and constituent liaison and policy advisor on the Environment Committee, completed the FBI Citizens’ Academy. The goal of the academy is to foster a greater understanding of the FBI's role in the community through open discussion and to support the FBI's efforts to deliver information about their role, tools, tactics, jurisdiction, and vision for the future in national law enforcement, homeland defense, and counter-terrorism on all levels. • Elvy Barton, senior policy advisor on the Agriculture and Water Committee and the Energy and Natural Resources Committee, received the Forty Hispanic Leaders Under 40 Award. This award honors 40 Hispanic individuals who demonstrate their passion for the community though service and leadership. • Eric Figueroa, senior policy advisor on the Appropriations, Education and Higher Education Committee and the Innovation and Reform Committee, is a featured artist at The Downtown Phoenix Ambassadors main office at 101 N. First Ave. This organization allows an aspiring, amateur artist to display his or her work each month. Figueroa’s photography, which highlights downtown Phoenix, is being featured through the month of August. • Liz Navran, staff attorney and policy advisor on the Health and Human Services Committee and the Banking and Insurance Committee, was selected for the Valley Leadership Institute. This is an organization that provides growth and learning opportunities for emerging and existing leaders to benefit local communities. House Democratic Chief of Staff Keely Varvel Hartsell, who earned recognition by being nominated as the best staffer for the Arizona Capitol Times Best of 2012 Awards, also congratulated the staffers. STATE CAPITOL, PHOENIX – Members of the Arizona House Democratic Caucus criticized Gov. Jan Brewer’s recent executive order that attempts to prevent people granted temporary relief from deportation from receiving driver’s licenses and other public benefits. Brewer issued the executive order Wednesday, the same day that some young people brought to the United States as children could begin to apply for deferred deportation action. The move has drawn criticism for being mean-spirited. Rep. Martin Quezada, D-Avondale (District 13), said the executive order was unnecessary and out of line. Rep. Ruben Gallego, D-Phoenix (District 16), said the executive order is little more than a publicity stunt. STATE CAPITOL, PHOENIX – Today Rep. Catherine Miranda, D-Phoenix (District 16), released the following statement regarding the deferred action for childhood arrivals process. "This week begins the application process for DREAM Act students on deferred action. Up to 800,000 young talented and educated men and women will have an opportunity to apply for work permits. The injection of these well-trained, well-educated workers into our national economy potentially can drive this country toward a new level of prosperity. “At a time when we import doctors, engineers and computer experts from India and China, we need to consider the option of growing our own well-trained, well-educated workforce and we must fully utilize the expertise of DREAM Act students. It's nationally recognized that the United States has an aging population that presents a unique economic challenge in the history of our country. Immigrant labor both documented and undocumented can compliment the labor needs of this country. “Let's begin our new economic revival and embrace the potential contribution that DREAM Act students can make to our nation." STATE CAPITOL, PHOENIX – House Minority Leader Chad Campbell, D-Phoenix (District 14), is urging Attorney General Tom Horne to investigate for-profit, private prison operators for possible legal and contract violations. Last month, Campbell sent a letter to the Arizona Attorney General’s Office calling for an investigation and the immediate suspension of the Arizona Department of Corrections’ solicitation for up to 2,000 new private prison beds. Campbell is renewing his call for the investigation, as the state is poised to sign a contract with a for-profit, private prison operator by Sept. 1. “The governor and the Republicans in the Arizona Legislature pushed so hard to get new contracts for private prisons even though they have a poor safety record, there is no evidence of cost savings and there is no indication that Arizona actually needs more prison beds. It begs the question, why?” Campbell said. The 2013 budget, passed by the Republicans, repealed a state law requiring a comparison of state and private prisons every two years to ensure that private prisons were providing the same quality of services as state prisons, at a lower cost. Department of Corrections Per Capita Cost Reports compiled over five years consistently show that the state is losing money on private prisons, and security audits show serious safety flaws in all of Arizona’s for-profit prisons, including malfunctioning cameras and alarm systems. Currently, there is enough money set aside in the 2013 budget for 1,000 new private prison beds, but the state has the option to add another 1,000 beds, for a total of 2,000 new beds in the next few years. The American Friends Service Committee issued a report indicating that if Arizona were to add the 2,000 private prison beds, the state could be losing more than $10 million a year. STATE CAPITOL, PHOENIX – Children all over Arizona are going back to school, and they will experience firsthand the effects of the billions of dollars that Republicans have cut from education. During the past four years, Tea Party Republicans have slashed about $2 billion from schools across the state. The consequences of such funding cuts are devastating to schools, students and teachers. Rep. Lela Alston, D-Phoenix (District 15), is a former teacher and currently serves on the Phoenix Union High School District Governing Board, and she is concerned about the challenges schools are facing because of the Republican budget cuts. Rep. Lynne Pancrazi, D-Yuma (District 24), also is a former educator and thinks the budget cuts will affect the state for generations to come. 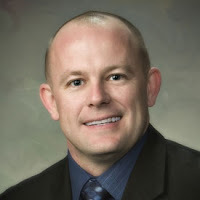 Rep. Eric Meyer, D-Paradise Valley (District 11), serves on the Scottsdale Unified School District Governing Board and is a member of the House Education Committee. He opposed the Republican plan to underfund schools. House Assistant Minority Leader Steve Farley, D-Tucson (District 28), said his two children are going back to school. He was taken aback by the lack of resources available. State House Speaker Andy Tobin, R-Paulden, continues to try to sell his version of what House Democrats supported during the state's budget vote this year. He is selling politics at its worst. This year, we developed a budget proposal that would have created jobs, improved education and restored funding to KidsCare. Additionally, it would have put a stop to budget sweeps -- including the $50 million sweep of the mortgage-settlement fund. This money was supposed to help families devastated by the foreclosure crisis keep their homes. Instead, "tea party" Republicans raided that money for the general fund so they could use it to pay for things like a private, for-profit prison expansion. Tobin's claims about Democratic opposition to funding of numerous programs are laughable. Our budget proposal provided more funding to schools, programs for the seriously mentally ill, Temporary Assistance for Needy Families, tourism, job-training programs, the Department of Public Safety and other important programs. It left money in the bank so we could be prepared for uncertain economic times. We voted against his budget because it didn't do enough to turn Arizona around. If Tobin also wants to claim credit for the Arizona Commerce Authority, he can do so. This agency is signing million-dollar contracts with employees and handing out taxpayer dollars to special interests with no oversight. It's a runaway train that needs to be stopped, not applauded. Tobin baits and switches by mentioning the ethics issues of two House Democrats. He fails to mention that one member immediately resigned. When the other didn't, I was the first to call for his resignation and the entire Democratic Caucus, led by Rep. Katie Hobbs, initiated the ethics investigation of our own member. That's a far cry from the stonewalling and cover-up we saw from Republican leadership when former Sen. Scott Bundgaard, a Republican, got into ethical and legal trouble. While Arizonans want leaders focused on creating jobs and cleaning up government, the tea-party Republicans instead killed bills aimed at ethics reform and debated protection from United Nations invasion forces, taxpayer handouts to the wealthy, a militia for the governor and denying women access to medical care. That's the truth. Nothing Tobin says changes that. Rep. Chad Campbell, D-Phoenix, is the House minority leader. STATE CAPITOL, PHOENIX – Today marks a major step back for women’s rights in Arizona as women across the state face dramatic changes and limits to their health care. This sad milestone in the Tea Party’s war against women comes as HB 2625 becomes law and others are set to follow. HB 2625 allows businesses that qualify as religious employers to deny insurance coverage of women’s birth control if they disapprove of the way women are using the medication. Additionally, it removes from statute protections that would prevent a woman from being fired for using birth control as contraception. Under this law, any Arizona business can claim that it operates based on religious principals by filing a form with the Arizona Corporation Commission. This would qualify the business to deny insurance coverage for birth control medication. Another example of the extremist agenda that Republicans are pursuing at the Capitol is HB 2800. This bill’s goal is to financially cripple vital women’s health care services provided by Planned Parenthood. Designed to deny public funds going to medical facilities that provide family planning services, HB 2800 is currently being contested in court. These laws raised concerns in the medical community. Dr. Marilyn Laughead is a local doctor of obstetrics and gynecology and has been in practice for more than 30 years. She is concerned with the potential ramifications of the legislation that limits women’s access to health care. "No one benefits from laws that politicize women's health. Legislation like this is too far reaching. It interferes with the important relationship between medical doctors and their patients,” Laughead said. “Across the state it limits women's personal choices and vital health care options. This trend is ill-considered and dangerous. It verges on the Legislature practicing medicine." STATE CAPITOL, PHOENIX – House Democrats released the following statements after Glendale officials announced that the Department of Defense chose Luke Air Force Base as the new training center for F-35 fighter jets.